Paying your rent online is quick, easy, and hassle-free. It is a convenient way to use RentPayment online. To pay online, simply click on this Pay Online link. This link will take you to PayYourRent.com where you will log in with your personal account and then identify the checking account you want to use to make your rent payment. Our payment service provider PayYourRent.com offers a convenient way to pay your monthly rent using your Android or iPhone smartphone. Of course, the app works on iPads as well. The app is available for free at the Google Play Store and the App Store. 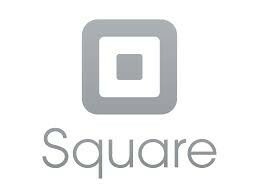 We acccept credit cards using square. You will need to add a 2.75% fee to your rent to cover the processing fee that is charged. If your rent is $1,000.00 X 2.75 = $27.50. The $27.50 fee is still cheaper than our late fee of $50.00. Please call Erika today at 859-230-6369 to find out how to go about processing a CC payment with us today.